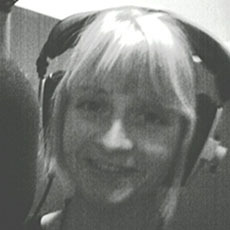 Bridget has worked in radio since 2009 when she cut her teeth as a newsreader at 4ZZZ. Bitten by the radio bug, she haunted the halls of Brisbane’s community radio stations until one relented and gave her a job. Bridget now works for 4EB and produces The Wire and Fair Comment. When she’s not behind a mic or on the phone, Bridget dabbles in freelance writing, research and baking. There’s so many to choose from but for me, it just has to be Daw Aung San Suu Kyi, the Burmese democracy campaigner. She’s a bit of a ‘don’t get me started’ hero of mine… My parents really set me up for this one; my first kitten was called Suu Kyi. Definitely resulted in some interesting conversations with house guests! I vividly remember my dad telling me stories of this amazing, brave woman fighting so hard for the country she loved. I always thought she was a superhero until my folks pointed her out on the news. When I eventually went to Burma, it really crystallized for me what Daw Aung San Suu Kyi was fighting for. The country was raw and beautiful; the people were irresistibly warm, but constantly looking over their shoulders. Daw Aung San Suu Kyi exudes quiet strength and dignity, and is, for me, the embodiment of female power. She made the world sit up and pay attention to what was happening in a distant corner of Asia. She inspired change in the world and is now, finally, inspiring change in her country.